VIP passes for concerts, events and functions. These provide a highly polished and professional feel to your company when hosting a trade show or convention and your staff are easily identifiable by security personnel. We can print custom sequential numbering, custom individually named cards, barcodes, magnetic strips and even photo ID using data merge technology. Just ask us for a 100% free no obligation quote and we will provide you with an extremely competitive price and free virtual proof of your printed VIP passes. We can dye cut these Plastic cards into any shape, size or moulding. 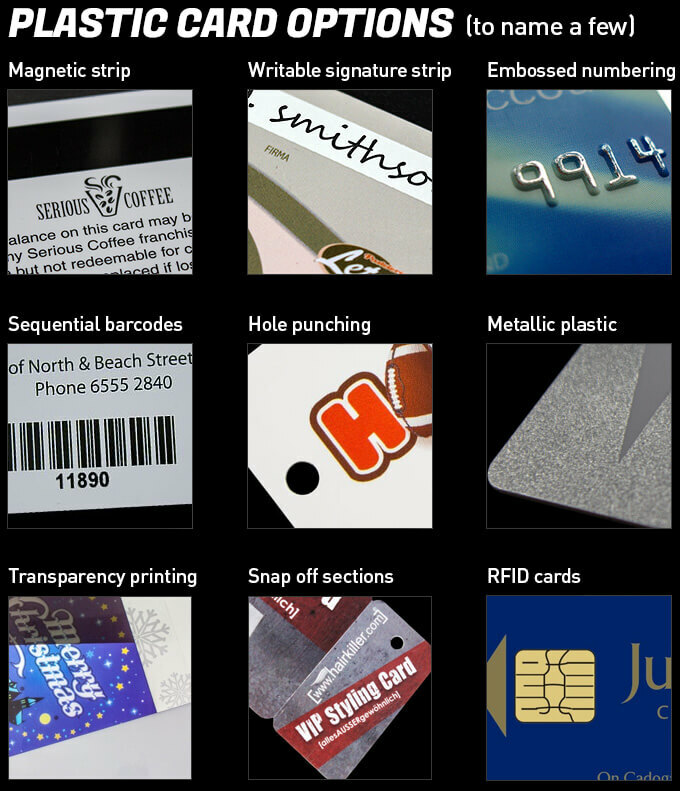 And then print colourful gradients and graphics onto the plastic printed cards along with barcodes, sequential numbering and magnetic chip fitment. Perfect for: Clubs, Associations, Hotels and restaurants, Night Clubs, Retailers, Wholesalers, VIP Members, Professional Bodies, Schools, Universities and Libraries etc.